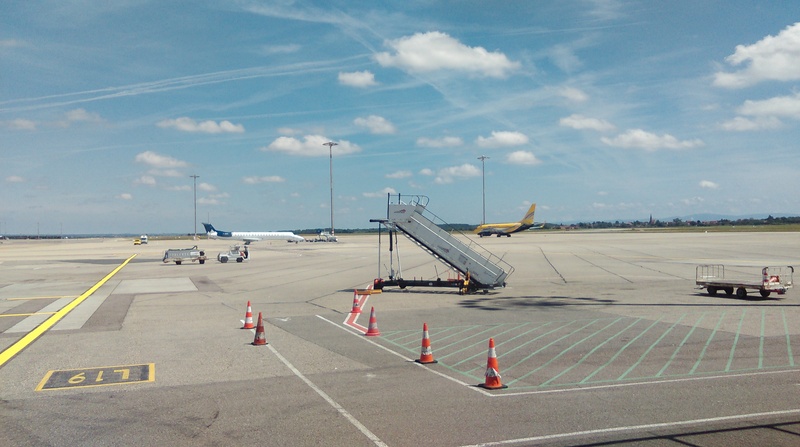 "a good airport for connections"
✅ Trip Verified | Lyon St-Exupery airport serves primarily the city of Lyon and the region of Rhônes-Alpes in the center east of France. This airport has a train station which connects some cities of France as well as tramway that connects the city center. 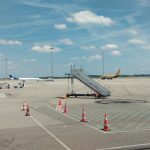 This airport can be a good option for connecting flights as it offers a good choice of flights mostly to Europe. This airport had recently an expansion of terminal 1 which is nice and modern. However the wating time for security lines is very long. Also there's a passport control even for Shengen flights which I find odd for an airport. The airport staff is fine probably more friendly than the ones of Paris CDG airport. There's a good range of shops and restaurants after security. Overall besides the security lines Lyon airport is a good airport for connections but give yourself enough time for that. I recomend at least 2 hours if you are not check in and have bags to claim. Not Verified | After a previous episode for which departure was delayed by 45 minutes because the luggage was not delivered to the plane, today flight was delayed for late arrival of the fuel truck. This airport is run like a mom-and-pop operation except that the ground staff looks overburden and lies about delays. A consistently bad experience. Not Verified | Worst experience I had in an airport. They took away all the cheese I had bought for my family with no explanation, because in the whole airport there's nobody who ever bothered to learn English. They will continue to speak to you in French even if you repeatedly said you can't understand them. Rude staff and no management skills. 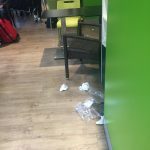 "rude staff and ill thought-out procedures"
Not Verified | New airport let down by rude staff and ill thought-out procedures. 1) Despite checking into a BA flight, the check-in lady refused to speak English with me. 2) Unlike all other airports I've visited around the world, the Airport Lounge ('Mont Blanc') is after the final passport gate check. This means once you go to the lounge there is no way to return to shops, restaurants or other members of your flying party who have not yet passed this final point. When I questioned this I was met with a mixture of indifference and ridicule by the gate staff. Not Verified | The beautiful new Lyon airport is a real let down. Understaffed, poor processes and incompetent management. We arrived two hours before our flight at a quiet time of day but it took all of this time to get through security. The queue barely moved. Staff were lost. Management swooped in with their floor length black woollen jackets and had no answers. Adjustments that were made to queues just allowed some to jump ahead of others. Real incompetence all around. "staff highly unpleasant and incompetent"
✅ Trip Verified | Juste une horreur, nous n'avons jamais croisé pire que celui-ci, en tout. Mal fait, mal conçu, pour s'y rendre c'est un cauchemar, les gens stagnent partout car tout le monde se perd, les terminaux sont éparpillés n'importe comment, le personnel hautement désagréable et incompétent, la douane est longue, toujours deux ou trois personnes pour plusieurs avions entiers (l'automatique ne marche toujours pas), l’aérogare est tres sale, les toilettes aussi, les débarquement des bagages est simplement le plus long que j'ai jamais vu, jusqu'à 30 minutes après le passage de la douane. Toujours une excuse pour ne pas répondre aux réclamations de toutes sortes, ne perdez pas votre temps à aller voir le personnel. Pour la sécurité, le même genre, grossiers et poussifs. - Just a horror, we never crossed worse than this one, in all. Badly done, poorly designed, to get there is a nightmare, people are stagnant everywhere because everyone gets lost, the terminals are scattered anyhow, the staff highly unpleasant and incompetent, the customs are long, always two or three people for several planes (the automatic still does not work), the terminal is very dirty, the toilets too, the unloading of luggage is just the longest I have ever seen, up to 30 minutes after the passage of the customs. Always an excuse not to respond to complaints of any kind, do not waste your time going to see the staff. For safety, the same kind, coarse and cramped. "easy transit and nice facilities"
✅ Trip Verified | 50 minute wait, easy transit and nice facilities, pleasant staff, no problems! Bit cold at departure gate but only there for a few minutes so it wasn’t an issue. "parking is way too expensive"
Not Verified | The parking is way too expensive. I paid 16.40 € for less than 1h15 min in front of the terminal 1b parking. This is stealing. Incredible greediness. Also having traveled a lot from here I can say that the staff is not here to help. They are always away. Signs are not visible enough. They had changed the arrival gate I had to just walk around for 10min to find it. Food and drinks expensive as always. Airports online CM rude to my online complaints. ✅ Trip Verified | The new terminal is a real improvement but the police control is appalling. Half of what we pay for our ticket goes in taxes, so we would expect not to be treated as cattle. The lines are just absurdly long and nobody seems to care. The automated biometric passport control has been deactivated with the excuse that there are not enough qualified officers to man it. I suggest that those in charge of these operations buy themselves a ticket to visit airports in a country where automated passport control works. Security has its own problems too with rules changing from one day to the next and agents occasionally yelling at you. The announcements in English on the loudspeaker are made with such a thick French accent that one wonders whether they are really made to be understood by international travelers. The fast lane is closed. The train shuttle is an expensive joke with no room for suitcases and the frequency rarely respected. 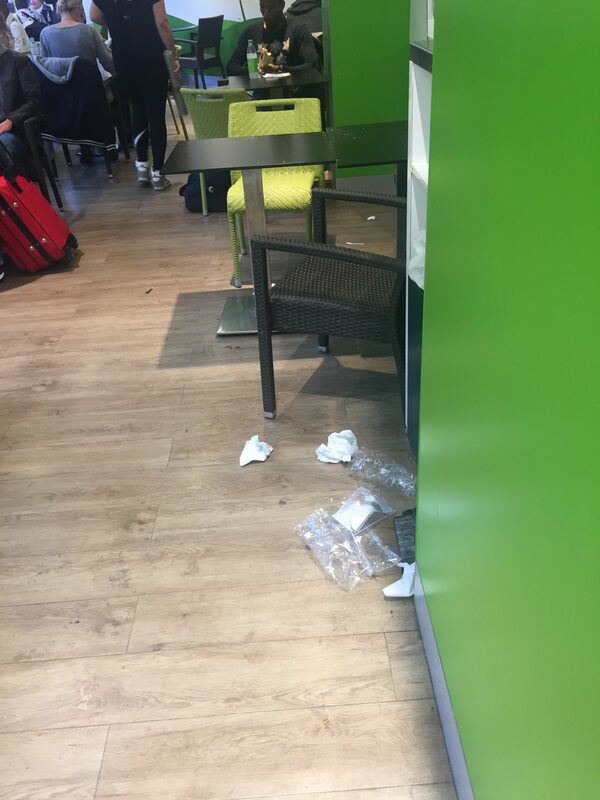 Lyon cannot attract tourists and business if that state of chaos persists in its airport. ✅ Trip Verified | The worst thing is the staff and the security check. The airport is very disorganized, they have far too many staff for nothing, I can see they were 'trained' to do something, but it is all against how things should work. It feels like they try to invent the airport service without considering all the experience other airports had, it just goes against any logic. With the liquids every week is a different rule, today they put into the trash a Coulommiers and a Reblochon cheese because they said it was not allowed?